Director Zack Snyer held a special 3-day event called “The Director’s Cuts”, featuring special screenings of three of his movies this week. After the Sunday, March 24 “Batman v Superman: Dawn of Justice” Ultimate Edition screening Snyder signed autographs for fans who attended, and one fan asked him about the existence of the famed “Snyder Cut” of “Justice League”. It appears, according to the man himself, that Snyder’s version of the “Justice League” movie does exist in some form, and that Warner Bros. have it… indeed, they have a number of different cuts of the film in their archives. Whether we’ll ever get to see them is a different matter altogether. Is this where we get to say that Snyder is “living in a dreamworld”? Seriously. Even if it does exist, it’s not getting released at a time when DC is on a role. With 2 films under his belt there’s enough evidence to suggest it would have been another very divisive film. This is where we say “I told you so” to all the naysayers that said it never existed….. just up to WB’s new head replacement to decide to follow through or not with it. There is a reason that WB actively distanced the franchise from the style ZS was going for, whether or not there is a ZS cut is irrelevant. Hopefully we will get it!! Indeed Kal-Elvis… also I think it hurt not having Superman a part of the marketing campaign. Batman didn’t kill anybody in The Dark Knight Returns. If anything that story really drove home the point that Batman doesn’t kill, so yeah, it does kind of prove that ZS doesn’t get it. And BvS was so full of plot holes and required such huge leaps in logic to follow that Batroc would have trouble keeping up. Even the DC which filled in some of those plot holes still doesn’t have these characters acting in any kind of logical way. And he even beat the Joker to death in that book in the theme park to…LMAO…so much for that no killing theory.. I stand corrected about joker….I forgot he made it look like Batman had killed him, though his wounds were still extensive enough as it was. That was an error on my part. but he still shot the mutant with a gun. Unless the panel was poorly drawn it was clear to me every time I read it. In fact, I’m reading it now. Later in the book, right before the Joker scene, an interview is going on with Lana Lang and she explicitly states that Batman hasn’t killed anyone. So he may have shot the mutant, but it wasn’t fatal. Looking through TDKR now, I don’t see him kill anyone. So yeah, ZS missed the point. As I stated before, Batman may have killed, but it was never an easy choice and it never came without repercussions. This Batman kills a lot of people without hesitation or remorse or even a second thought. And the DC is even worse on that regard, because the warehouse fight scenes add blood splatter to several people he smashes into walls/boxes/whatever, implyig that instead of just beating them up he is crushing skulls and killing even more people. They don’t have to always say it in words…LOL..The Art speaks for itself as it implies he killed him. If he survived, why wasn’t that specific mutant drawn later on the comic among the other mutants that joined Batman’s crusade? The answer…cuz he was shot & died from a heavy caliber machine gun at point blank range. Enough said on that subject. People get shot and live all the time. In that comic Batman gets shot and lives.He wasn’t shown later with the other mutants in jail because he was in the hospital recovering from his wounds, simplest explanation in the world. And again, it is expressly stated that he DOES NOT KILL ANYONE. You want him to have killed to justify your point. Period. That is NOT a rifle dude…LMAO. I’m not even gonna bother with the rest of that because that shows you don’t know guns at all & probably just quickie googled some info. Try a gun like what was in the comic & see if the recipiant walks it off…. You just said a 4ft, long barreled gun is not a rifle. What, pray tell, do you think it is then? It looks like a M249, typically called a Squad Automatic Weapon or SAW, which fires NATO 556 rifle rounds, sounds an awful lot like a rifle to me. Maybe YOU should try google. And yeah people live through that. Ask any number of veterans that have done so, since my word is, apparently, not enough. Then you know that the M60 fires a NATO 7.62x 51 rifle round. The same round that the Marine Corp sniper rifle fires. It’s a shoulder fired, grooved barreled weapon that is accurate over distance. And the M60 is effective up o 1200yds. G#$%^&* definition of rifle. You are arguing semantics. It’s a rifle round regardless of what’s throwing it downrange. And the fact is that people can and have survived being shot by that particular round. So quit deflecting, because it doesn’t matter. Batman did not kill anybody in that GN. Well… I did say ‘hardly any’ in mos, but given the monologue Zod had just given about having no people, i feel Superman should have at least tried to talk to him for a minute or at least tried to talk him out of his new found mission. Oh no, absolutely. That’s what I meant by quoting that line. It’s terrible. That line is something I would have made up when I was 6 holding Superman and Zod action figures in my hands. And yeh, it would have been so much better and in character if he had tried to talk Zod down. I totally agree with everything you said. Hardly any lines and the lines he has are dry and bland. Hardly any development or personality injected into his character at all. Ah gotcha. That was about as memorable a line as you got from him… and it was totally out of place. Zod gives this emotional speech and instead of Superman showing empathy or understanding… I’m going to destroy you! Cooooool. “Now look here Zod old chap. I realize we have differences about you destroying this planet but back at my mom’s farm we could talk over milk and cookies.” Ridiculous concept! Superman: “Your a monster Zod……and I’m going to stop you.” And he did! Why would the potential dialogue sound like a 1950s Lone Ranger episode? It doesn’t have to be silly, it can be realistic. What we ended up with sounded like a little kid playing with his toys. I never heard it represent anything quite kiddie like. But the fight that followed was pretty epic. Shazam will no doubt be for all ages that will appreciate a degree of camp and adolescents. The critics will undoubtedly go wild as they’ve all proved if they don’t spill there popcorn with laughter then it’s a failure. I don’t recall anyone denying that Snyder had at least a rough cut together before exiting the project. But what does “it’s done” really mean? I seriously doubt that he had a fully polished film with slick special effects, a full score, and the appropriate ADR. Something akin to the bootlegs of the 2011 Wonder Woman pilot or 1994 Fantastic Four film likely exists, and would be watchable. But I still doubt WB is sitting on the free money such a completed film would entail. I couldn’t have stated this any better. Bravo sir. Ah thanks for finding that article Kal-Elvis! Yes they’ve leaned very heavily on some of the Donner stuff even lifting some dialogue. I also didn’t care for that on Superman Returns. I was surprised yet again they went with the Christ analogy. We literally just had a scene in SR where he spread his arms out in space and had it again one MOS. This along with his silent demeanor is why I always compare the writing of Superman’s character and dialogue being the same as Neo from the Matrix… Little to no dialogue and portayed as a savior. In SR they pulled some comparisons to Donner’s. But they did it on purpose because at the time Donner’s Superman was regarded as the standard. I never heard or saw anything that ZS did that I would compare it to regarding Donner’s. In fact totally the opposite. While I’m not so sure about the Liberal/Conservative aspect, there’s a lot of what you said that would appear to be more accurate than not. Snyder got rode hard and put away wet for making a movie(s) that were planned as a “re-boot” because of the tepid response and direction off Superman Returns. But I agree 100% that he gave us a Superman that did fit right in with today’s “real” political environment. That’s what he was hired to do, that’s what he accomplished and the end result by some peoples feelings was it was TOO REAL! I don’t think anyone here has said they were against the aspect of realism in these films. Some of us have gone as far as to say that we are for it. Taking a realistic approach was never the problem. I didn’t think it was realistic to be honest. Not because of the tone or the subject matter or how they handled the army in it and all that…that’s all fair enough. It was Superman himself that didn’t feel realistic to me. He didn’t feel like a real person or character. Cause he was simply written that way. And if your main character doesn’t feel real, the rest doesn’t matter. Well I’m sorry I don’t agree with that assessment. There are 3 scenes in MoS that I think didn’t belong but I never felt he was out of character with his emotional state. See….this is a stupid addition to our conversation. I don’t want to dive into politics here, but I think it’s interesting to suggest this was somehow a “liberal” Superman. The interpretation of the character by Zack and Co. feels much more like a conservative perspective to me. I agree on not wanting to get into it much here, but I’m not sure if I’d go that far. If I were to classify, I’d see it as more neo-liberal (which has some leans on both sides in various ways). Though I admit that’s splitting hairs a bit in comparison to your summation. I don’t think an alternative cut, Zack’s original version, would be meant to salvage anything. And regarding the JL we got, aside from “mustache gate”, I fail to see that it was a “terrible movie.” Not what was expected,…..yes, but the overall plot was not really as disjointed as some have commented on. This is becoming tiresome………………..So now that we know “The Snyder Cut” is real, WB should either make an announcement that they’ll release it or make an announcement that they will not release. Then we can all stop worrying about it. Personally, I’d absolutely LOVE to see “The Snyder Cut.” However, all of this talk about it being real or not, or the studio will to put out the money to finish the special effects, etc., is just becoming tiresome. WB Just release it already OR put out a statement saying you won’t release. Then we can be done with it. We have for some time kicked this topic around but had NO conformation. It was all rumor. NOW..we have it from the man’s mouth!! So I think at least re-visiting the issue is at the very least something to talk about. Redcape, you make an excellent point. And I agree with you. Let’s just hope that now that Zach Snyder says his cut of the film exists, the big-wigs at WB will distribute it (even if that means it goes straight to digital download on i-tunes). I’ll definitely buy it if it’s ever released. While I disagree with the direction he went in, I still think he should have been able to finish it up. I’m not a Snyder hater. I put just as much blame on Goyer and the execs, I’m definitely not singling him out. I don’t know why goyer gets a pass. And on a side note, this pic makes me think of the guys from “Office Space”. I don’t think it’s dead yet!!! I don’t miss it. By taking away the thumbs up thumbs down feature, it prevents cyber bullying. That’s odd. My previous comment didn’t go where I wanted it to go. Weren’t there reports at some point stating that Snyder’s version was unwatchable? Or was that just another excuse to replace him? I don’t know how reliable accounts from execs are since they supposedly gave BvS standing ovations. There were, but I wonder what they mean by that. The spin was definitely that it wasn’t good enough. There’s “unwatchable” from a taste perspective, and “unwatchable” from a “still needs xyz to be finished” perspective. My guess is that the latter was spun to mean the former because the press likes controversy. I would agree with you as long as his version is NOT a completed movie. No one wants to see a bunch of arrant scenes that don’t flow together with any kind of continuity. BUT….he is not saying that. “It’s done”….per ZS. So from that stand point there IS what,…. a completed movie just sitting in a vault? Maybe I’m a glutton for punishment, but I for one need to see it. Then I will put this to bed. Yep….totally agree! Even if it’s not a better end result. But your statement of it being at least in line with MoS and BvS is all I would expect to see. If better then OK if worse then OK as well. Wow! 104 comments! This has to be a new record. It’s good to have different opinions and discussions. It shows how passionate and how caring us fans when it comes to our favourite big Blue boyscout. Well we can all analyze these movies(any of them including Marvel crap-o-la) to death. Pick them apart based off of how they don’t appeal to us individually. Mistakes..yes, questionable scenes..yes as well. I’ve got no doubt that Snyder didn’t sit down and watch all previous attempts with Superman. His job was to create the opposite of what we’ve either got accustomed to or seen before. A lot of people feel it went too far in the opposite direction. 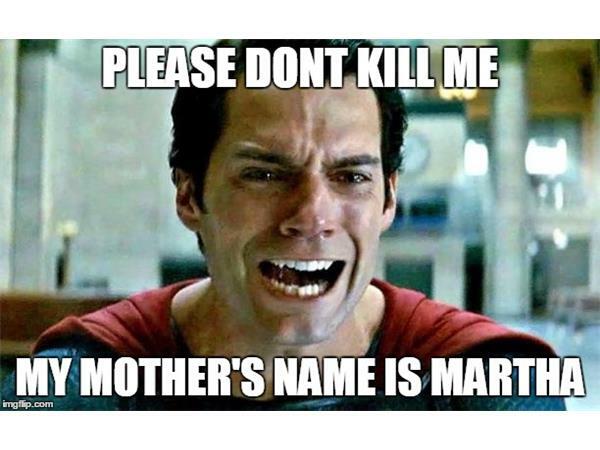 Maybe….but I still want to see his Justice League!! 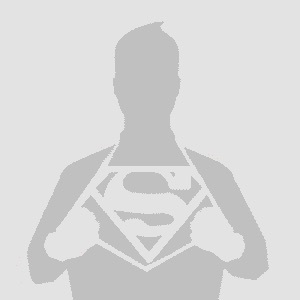 123 comments on this Superman comment section! Let’s see if we can get to 130! When you get down to it regarding what Zack’s saying, we still don’t have one single bit of story line or relatable information regarding his JL. All he says is… “it’s done.” We’re back at square one and still have absolutely…..nothing! I want to see an all-Joss Whedon version of Justice League. That’s in WB’s hands too, right? I would guess no to that. He was brought in to piece together what he could from Zack’s story, add re-shoots and make it a one and done. And that was all at the expense of just finishing it and dumping it on the market. Just got back from it and thought t was a lot of fun! I enjoyed all the Easter eggs! And did you notice a very subtle JL:Mortal reference?? Other than D.J. Cotrona playing an important role (I’m trying to keep unsolicited spoilers at Bay), I didn’t notice much. Adam Brody who was supposed to be the Flash in JLM as well.. not sure if that was intentional or not, but I found it amusing! Who’s we and who cares about what? You seriously making me explain this? We = me in the 3rd person, and you KNOW what I’m talking about. It’s the subject of the whole thread. And just in case you missed the subtext, I don’t give a **** about the Snyder cut. Maybe they’ll release it along with the David Ayer Suicide Squad cut. I read that Suicide Squad will be a total re-boot as well. I thought so too, but it looks like they’re resigning a lot of the actors from the first minus Will Smith. So far we have Waller, Boomerang and Flagg. Elba was supposedly replacing will Smith’s deadshot, but that was debunked and I think harley May come back as well. I loved most of the characters and portrayals, just the actual film was a mess, but what do you expect when Tsujihara lets a trailer company cut his movie.